YOU'RE READING Are black women ditching white weddings? As we say goodbye to yet another charming (but not so wallet-friendly) wedding season, we look back to see if any new trends are emerging. Our social media feeds continue to be filled not only with ravishing brides but brides and their spouses celebrating beautiful traditional wedding ceremonies. We love the bright Tsonga gowns, textured Zulu attire, Xhosa bead work and everything in between. This sparks the question: are young black women embracing traditional weddings? 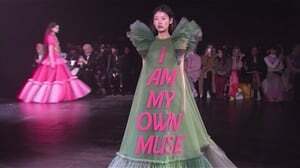 And if they are, do they still want the white dress and the ceremony that comes with it? One could argue, ‘of course they are. Celebrating your culture and heritage is not a trend’. Or ask, ‘what’s wrong with enjoying the best of both worlds?’. These are valid points, because a significant number of weddings this past season have included both a traditional and white wedding. So what's the real story? 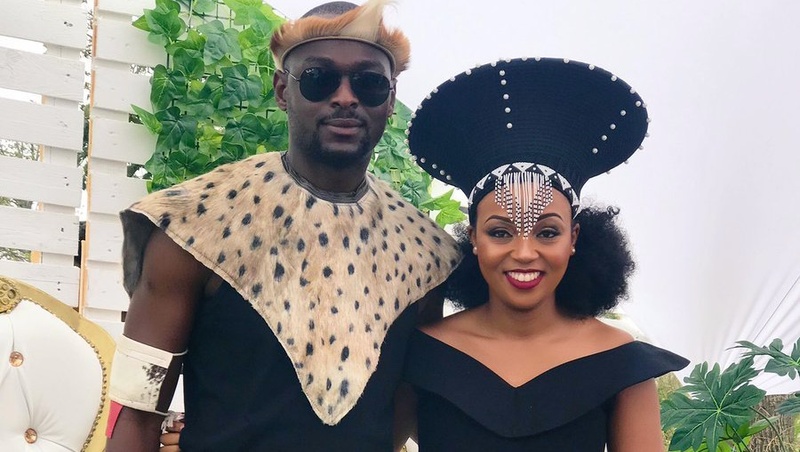 Over this past festive season, brand strategist and the ever-so-stylish Siyanda Dzenga tied the knot with her husband in a traditional affair in the Eastern Cape. To her, a traditional wedding was an opportunity to honour and celebrate her heritage. “It’s what I was exposed to growing up, especially growing up in the Eastern Cape. I don’t feel like you can get that kind of celebration and jubilee anywhere else and just to honour who you are as Xhosa people or as Africans,” she says. Siyanda says a traditional wedding was a given for her. “If I were to choose between having a white wedding and traditional wedding I would [choose traditional wedding] but my husband in is not Xhosa, he’s Shona, so it wouldn’t be fair to just have one,” she adds. She says a traditional wedding is firstly “just purely to honour who we are as Africans and, secondly, it’s the way that we celebrate, it’s so unique to us. READ MORE: Can you be a feminist and still practice lobola? I actually cannot believe the day is so near, on Saturday my family will officially be handing me over to the love of my life and join our families. I’ve never been this thrilled and completely looking forward to forever with my love ?????? Dress: @khosinkosi ?? “I think [a traditional wedding] is also for honouring parents because that’s what they did… My parents were SO honoured and so happy that I did this and did it in the way I did,” says Siyanda. But Gugu also says often when it comes to which one is chosen, parents often make the decision for their children to get married in a traditional way. She adds that the way traditional weddings are celebrated has evolved over time, particularly when it comes to costs. Wedding season has us dreaming of planning our own weddings. So which wedding ceremony would you prefer? You can tell us why in the comments. “Because I live in Durban I seen Indians doing the same thing as us, where there is an Indian wedding where they wear a sari and a white wedding where they wear a gown. So I don’t think it will fade away, says Gugu. And Siyanda, like many other young women will follow up the traditional celebration with a white wedding that she is currently preparing for. Nothing wrong with the best of both worlds.